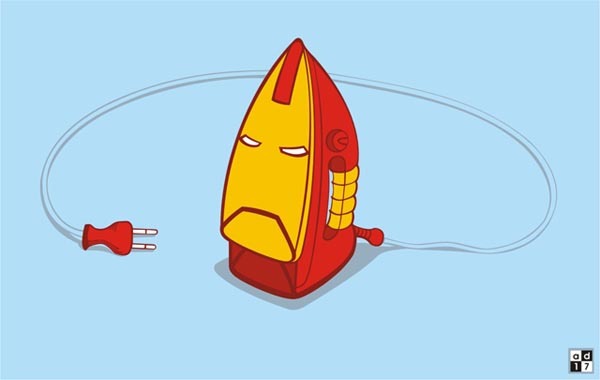 We believe it’s impossible that the iron can’t suggest the iconic Iron Man face to you. What can you imagine else? It seems the iron Iron Man 2 is a hybrid cutting-edge armor for Tony Stark, which is able to transform into a normal iron just like those Transformers, of course also turn into our great Iron Man. However it only appears on the T-shirt. 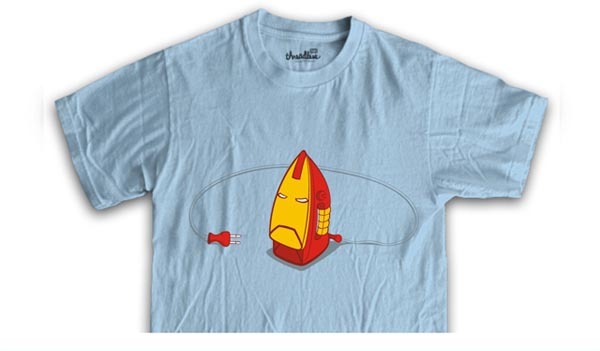 So you can call it Iron Man T-shirt or iron transformer t-shirt. Anyway, the pretty pattern is a great job. We like this idea. The official name is Iron(man)2, a pattern design for T-shirt. Apparently it will be available soon. Do you know where this shirt is being sold? The scoring for the pattern finished over two years ago. We believed the T-shirt has been unavailable.